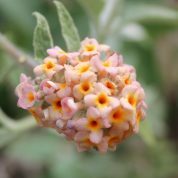 Buddleja ‘Salmon Spheres’ form a medium sized shrub with round salmon pink flowers with a yellow eye from early spring. 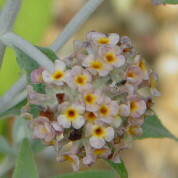 Flowers are like B. globosa in shape but much smaller in size. 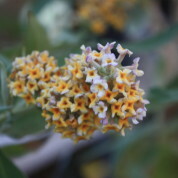 This plant requires winter protection and is best grown in a pot. 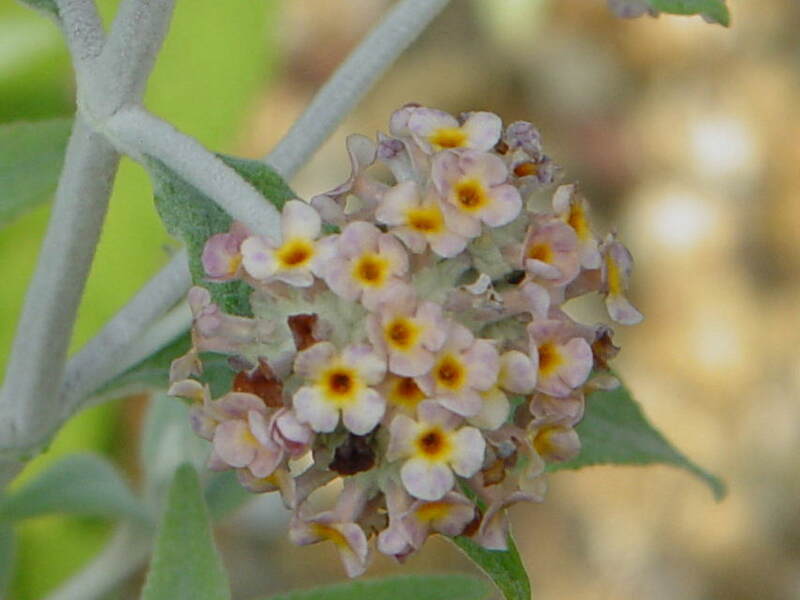 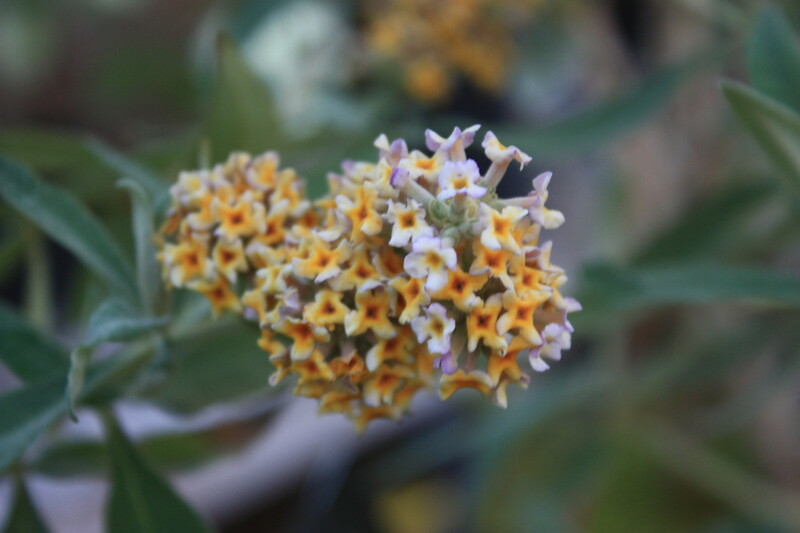 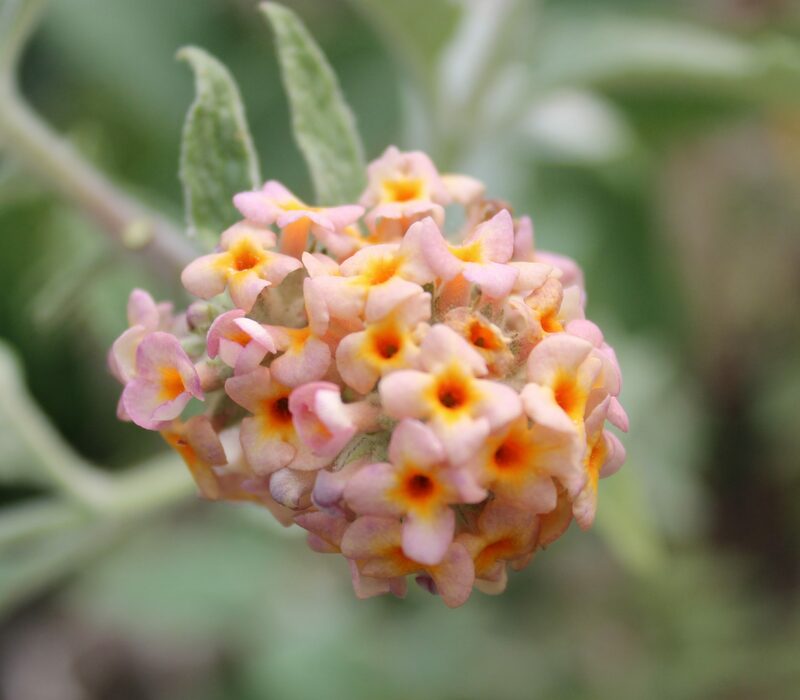 Buddleja ‘Salmon Spheres’ is a British cultivar raised by Steve Nevard, London, from a cross of B. globosa and B. crispa.